Fada & Leathan, contemporary boutique apartments with fully fitted kitchens including solid wood worktops. Equipment includes washing machine, tumble dryers, oven, hob and microwave & dishwasher, toasters, kettle. Smart TVs with Netflix & Sky TV satellite channels, ipod/iphone dock, free wifi. 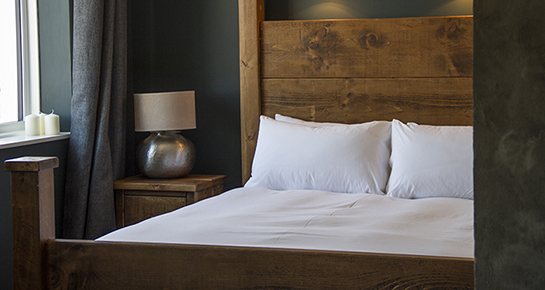 King size bed with Hungarian goose down bedding and Egyptian cotton sheets. Matthew Algae ground coffee, Tea Pigs, Chocolate Abyss hot chocolate along with luxury biscuits are on hand to welcome you. 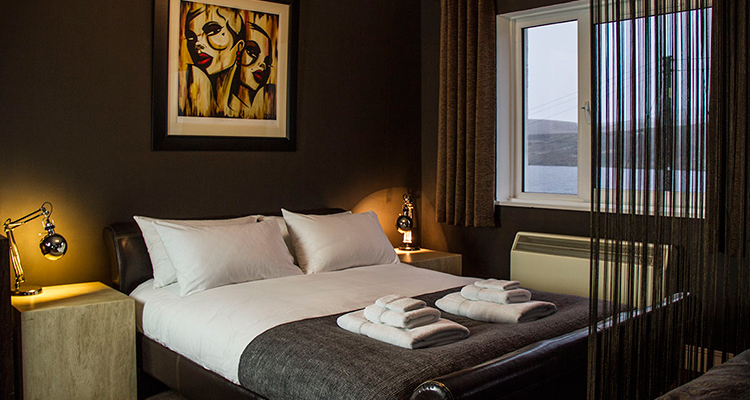 Retro industrial twist and Art Deco elements with sumptuous carpets and Karndean flooring make this apartment a must for those seeking a little luxury whilst holidaying on Skye.